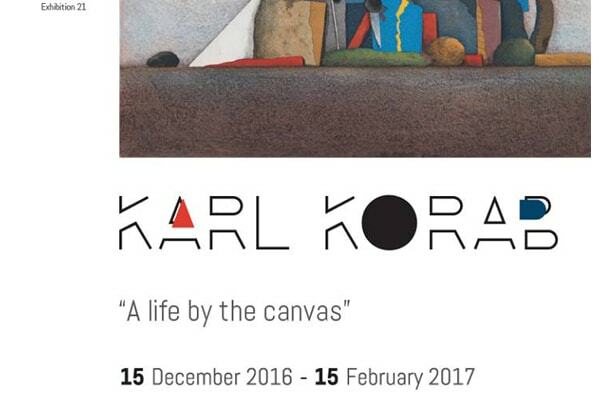 FONDACIONI KALO and the Austrian Embassy invite you to the 21st Fine Arts Exhibition “A life by the canvas” ‎ displaying works by Austrian artist KARL KORAB This exhibition brings an added value to cultural relations between Austria and Albania. Art is a bridge that contributes to the improvement of the climate of existing cooperation between our countries. Karl Korab, one of the most prominent living Austrian artists, speaks to us through the universal language of colors and shapes and symbols. He shares his impressions and views on the Austrian fantastic, unique landscapes or human figures, or still life. The fact Korab holds same name as an Albanian mountain makes him even more appreciated here. FONDACIONI KALO and Austrian Embassy are honored to host and exhibit Korab’s 24 artworks at GALERIAKALO and are thankful to RAIFEISSEN BANK for its kind support.